Yanhira (right) learns at one of our recent manufacturer trainings. 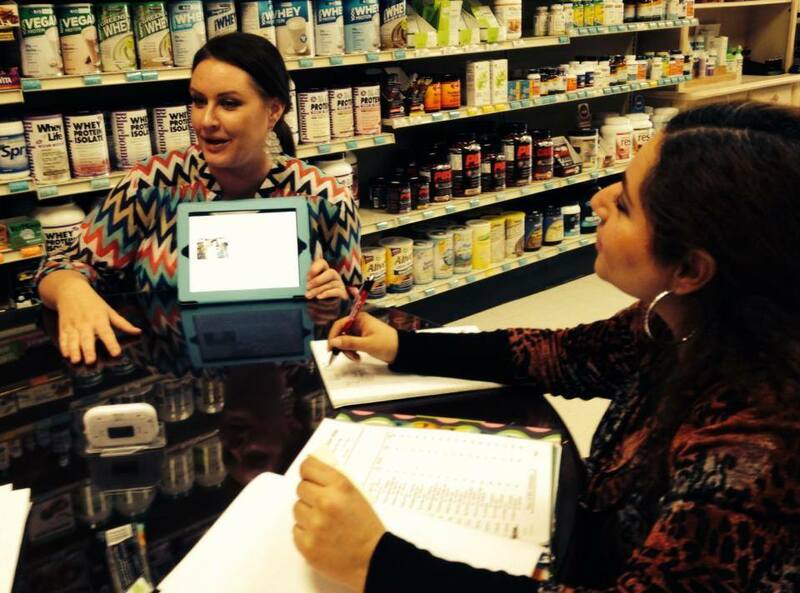 At Betsy’s, staying educated is second only to making our customer service the best in Houston! The lifestyle, exercise and diet choices we make are the only things we can control about our blood vessels, which otherwise operate to move and hold the blood and fluids necessary to life as part of our autonomic nervous system. Yet, when our vessels are not in good health, we find ourselves at risk for things like heart disease, stroke, aneurysm, hemorrhoids, varicose veins, or even increased bruising. In other words, blood vessel and circulation support should be at the top of any person’s health priority list. Here are three recent articles on blood vessel and circulation health that you should find of interest, especially if you are the kind of health enthusiast who knows its the things we don’t take for granted that can make the biggest difference in our improved health. One of the main factors in heart health is the ability of blood vessels to relax and dilate. Researchers wanted to test the effects of lycopene, one of the most powerful antioxidants that help blood vessels relax. In the study, 36 healthy people and 36 people with heart disease took 7 mg of lycopene per day or a placebo, with doctors requesting they maintain their regular diets. Before the study, researchers measured blood vessel dilation and found those in the heart disease group had 30 percent less flexible blood vessels compared to the healthy volunteers. After two months, in the heart disease group, those who had taken lycopene saw 53 percent better blood vessel dilation compared to placebo. Everyone in the heart disease group was taking statin drugs, suggesting that along with statin therapy, lycopene may enhance heart health benefits. Until recently, doctors thought hardening of the arteries began with cholesterol sticking to blood vessel walls. But now doctors believe it is certain immune blood cells that penetrate and stick to blood vessel walls, creating lesions that begin a progressive inflammatory response that is the first step in hardening of the arteries. In this study, 13 male smokers took 200 mg per day of a powerful antioxidant from grape seeds called procyanidins. After eight weeks, doctors found that the grape seed extract activated 864 genes that helped keep immune cells from sticking to blood vessel walls. Discussing their findings, doctors said taking grape seed procyanidins could decrease immune cell penetration of blood vessel walls and help protect against hardening of the arteries. Betsy’s Note: Lycopene and grape seed extract also thin blood. It is a good idea to consult your healthcare provider before beginning any new supplement, especially if you also take prescription or OTC drugs. Article copyright October 2014 by Natural Insights for Well-Being. All rights reserved. Used with permission. Vitamin C can lower chances of heart problems, but prior studies of vitamin C and blood vessel function have been inconclusive. In this review of 44 clinical trials covering 1,129 people, researchers found vitamin C improved blood vessel function, particularly in those with higher chances of vascular diseases such as atherosclerosis, heart failure, and diabetes. Doctors said a thin layer, known as the endothelium, lines the blood vessels and regulates their flexibility. Oxidation and inflammation damage and stiffen the endothelium. Vitamin C directly reduces this oxidation and inflammation and also appears to make nitric oxide, a powerful blood vessel relaxer, more available to the blood vessels. Discussing the findings, doctors said the benefits of vitamin C began at doses greater than 500 mg of vitamin C per day, and to their knowledge, this is the first review and analysis of the effect of vitamin C supplements on blood vessel function in human adults. Betsy’s Note: Vitamin C also thins blood. It is a good idea to consult your healthcare provider before beginning any new supplement, especially if you also take prescription or OTC drugs. Earlier lab and animal studies found magnesium may prevent plaque buildup in arteries, but doctors know little of its effect in humans. In this study, 2,695 participants, aged 42 to 64, without cardiovascular disease, reported their diets and underwent X-ray CT scans to measure coronary artery calcification and abdominal aortic calcification, two key areas where plaque builds up. Doctors adjusted for differences in health and family histories, lifestyle, and other factors, and found that a 50 mg increase in total magnesium per day lowered chances of coronary artery calcification by 22 percent and chances of abdominal aortic calcification by 12 percent. Comparing those with the most magnesium in the diet to those with the least, chances for having any coronary artery calcification at all were 58 percent lower, and for any abdominal aortic calcification at all, 34 percent lower. Women seemed to benefit most from better levels of magnesium in the diet. Betsy’s Note: Magnesium can thin blood. Also, magnesium should be started low and worked up to tolerance and dosage, as it can cause loose stool. It is a good idea to consult your healthcare provider before beginning any new supplement, especially if you also take prescription or OTC drugs. Article copyright June 2014 by Natural Insights for Well-Being. All rights reserved. Used with permission. To learn more about products whose legal structure/function claims include heart and blood vessel health, please visit us at Betsy’s Health Foods, where we work hard to stay educated on the products that we carry. You can learn more about us at our website.